LiveCode LessonsLiveCode LessonsHow To - LiveCode Mobile Tasks LiveCode Mobile TasksHow do I use multi-touch to move more than one object? 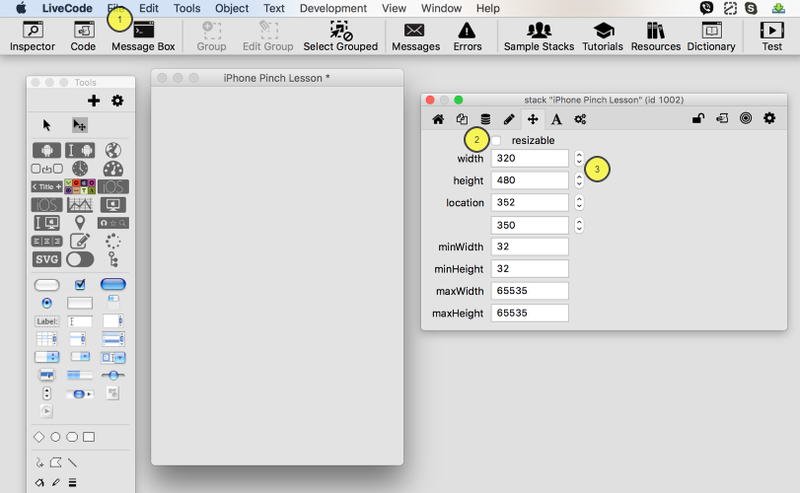 In this lesson we will show you how to use the 'touch' messages in LiveCode to move two objects around the screen. You will require a touch screen device that support multi-touch, i.e. the iPhone and most modern android devices. If a user places two fingers on the device, two touch starts messages will be sent to you stack. You will also be sent a touch ID so you can tell they are different. Prev: How do I send an email from my mobile device? Next: How do I use the Question and Password Dialogues in LiveCode Mobile? 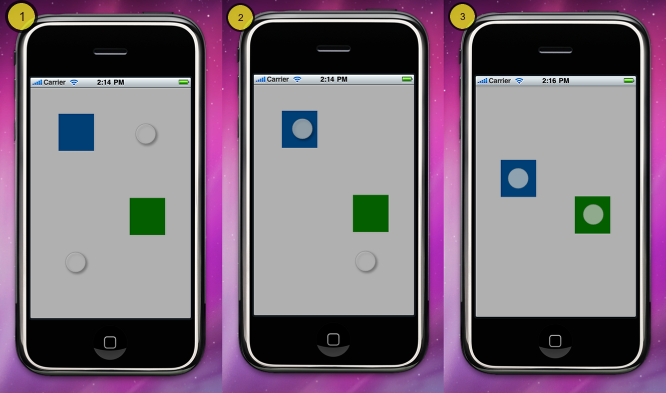 How do you limit touch commands so that you do not move certain objects in your app? For example, if you add in several gif images and do not want a background gif to be movable. For standard graphics, disabling the graphic locks it so it is immovable but I do not see this ability for a gif from the object properties stack. It would be helpful to say where the handlers are located. I presume they're in the card script (since they use "target"), but they could be in the stack script. Could this work if the handlers were in each object's script, using "me?" Hi George. The scripts are located in the card script for this example although the stack script would work fine too. You are right to say that it is also possible to implement this directly from the objects. 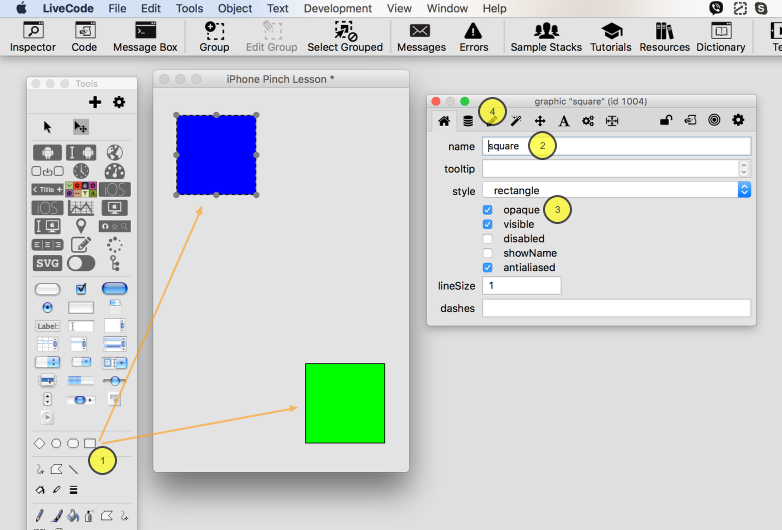 Touch messages are sent to the object first and if you choose no to handle them move to the card and then the stack script. Hi Mike. There are a couple ways you can do this. If you set an object to 'disabled' it will not receive any touch messages. This is great if you want to isolate a background image but perhaps isn't so good if you have quite a few items you don't want to be affected. You could set a custom property on all the items you do want to be 'touchable'. Then you edit your touchStart / touchEnd / touchMove handlers to include an if statement that checks the object has been set as 'touchable'. If it has, you perform actions, otherwise just ignore the message.